When looking for a video company to create a video to promote your business, there are a few important tips to consider. Here we have seven pieces of advice to help you in your search. This is something we have touched on before, but branding and brand identity are the most important thing for a company to have. Before you spend money on advertising and especially on video production, it is important to know who you are as a company. What do you stand for? What is your mission? Before these questions are answered clearly, it isn’t worth spending money on creating a video. We need to know what your company wants to achieve and what your strategy is before we can create a video that promotes you. This is information that is critical for us or any video production company to understand before creating a video to promote you. Without a strong identity, any video you produce will not serve you well. In the past, we have made some pretty amazing videos for clients of ours only to find that they have not marketed them well. No one sees the videos and they do not serve their intended purpose. If you do not know your target demographic or audience you are trying to reach and don’t have a strategy on how to reach them, paying for a video is a waste of time and money. Before hiring a video production company it is essential that businesses have identified their target demographic and have developed a strategy on how to reach them the best. Posting a video on a Facebook page that has only 100 followers will not serve a business well. Knowing how to push content to reach the target demographic is extremely important and must be done prior to selecting a video production company. The information you provide to the video company will influence how they approach creating your video, writing the script and a variety of other factors. In this particular industry, prices vary greatly from one company to the next. This is due to many factors. Some companies have more staff and overhead than others and can produce higher quality or more technical videos. Other companies are lean and operate on a modest budget. Quality, price and reputation can all vary from one company to the next. It is recommended that anyone interested in hiring a production company get several quotes and talk to as many companies as they can. Not only is price important, but quality must be considered as well. Get prices, but also compare quality of videos within each company’s portfolio. If you can find a company that has an affordable price and quality videos that match your style, you have found a good one. When looking for samples from companies, look for the most recent bed of work. If you are looking at videos several years old, it is not reflective of their current capabilities. Social Media is a good place to look for recent posts and you can always ask to see something more recent when contacting them. Each company grows in talent and skill as time passes. Make sure you are looking at recent work to get a better idea of a video production company’s abilities. These are some of the services a professional company can offer. Note that each of these services does cost money. 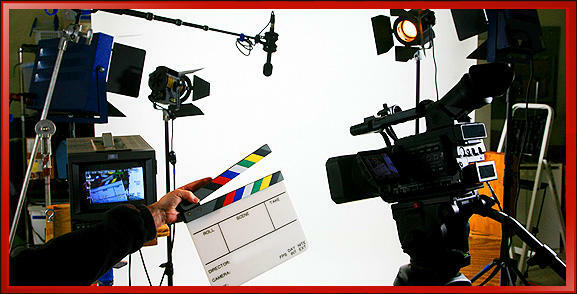 The more that is required of the video production company to create your video, the more costly it becomes. We always recommend that potential clients meet with the production company in advance of beginning the project. Communication is key. Having a sit down with the people you are considering hiring for a job will give you a clear idea of their capabilities and offerings. They can show you samples specific to your project and brainstorm ideas. This is also a time when you can get professional feedback and input on the possibilities of your specific video. To make sure both you and the production company are on the same page, face-to-face communication is important. Having a budget is an important part of creating a video. There is nothing wrong with having a small budget. If you only have $800 to spend on a video, you may need to find someone fresh out of college or someone who wants to build their portfolio. Be advised though, that professional companies command a higher price and it shows in the work. These companies have the knowledge, equipment and talent to make your video sizzle. If you would like a video to impress potential customers, know that the ones with the higher price tag will likely achieve that.